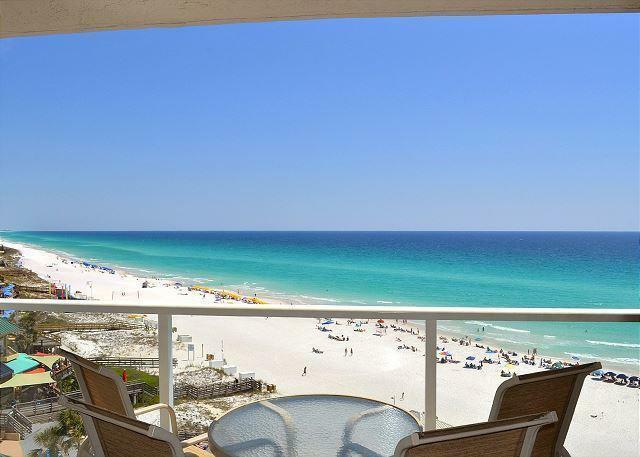 Enjoy your morning coffee and the sunrise from the balcony of this 9th floor condo directly on the beach in Beachside 2 at Sandestin Golf & Beach Resort. Unobstructed views down the beach and of the Gulf of Mexico from both the balcony and living room. Rare 2 bedroom, 1 bathroom floor plan + sleeper sofa, this condo will sleep 6. Property will be sold fully furnished and ready for the peak rental season with an abundance of reservations already scheduled. Enjoy all of the activities and amenities Sandestin has to offer, including: 4 championship golf courses, world class tennis facility, 98 slip marina, fitness center, restaurants and shops of the Village at Baytowne Wharf and Grand Boulevard. Don't miss this one!